On late August nights the conversations between counselors on the back porch are tied together by a dominant narrative thread. “What’s next?” On the surface, it’s hectic class schedules and extracurricular activities. Some may be studying abroad, starting an internship, or even beginning a new career. For Lydia DeMoss, the answer to that question was a long time coming. Having grown up the daughter of a full-time Camp Tecumseh staff member, she had been immersed in the lessons of Tecumseh her entire life. 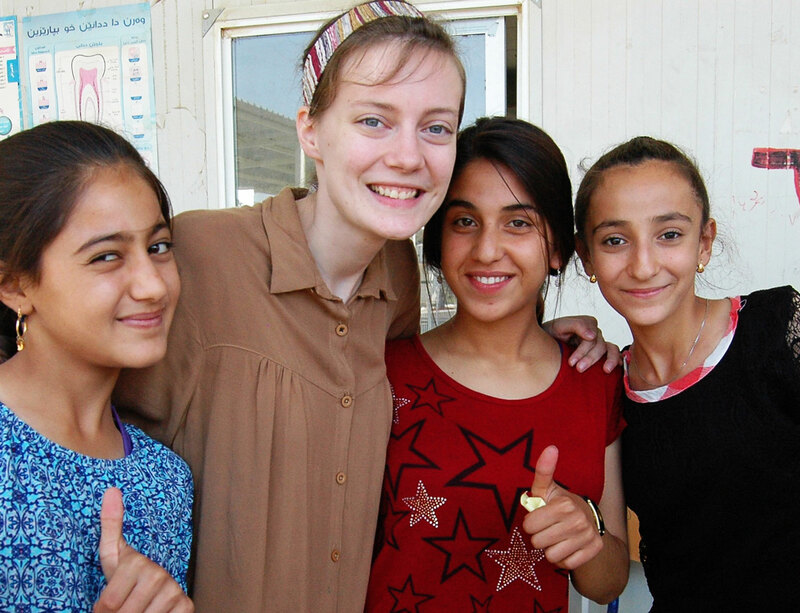 Her quest to answer that question took her around the world to a refugee Camp in Northern Iraq. 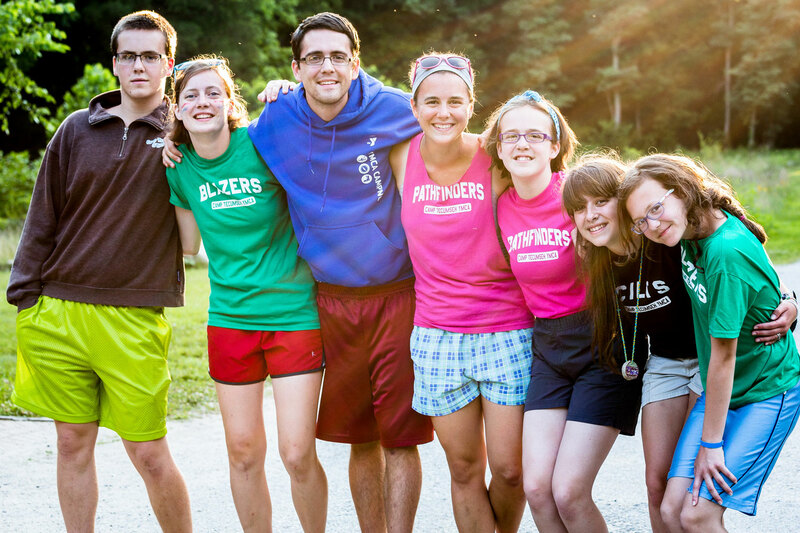 While Camp Tecumseh is an integral part of so many childhoods, very few kids have the opportunity to grow up here. Lydia is one of the few. Matt DeMoss, Lydia’s father, worked full time at Camp Tecumseh as the office manager. Together with her six siblings, she grew up in the big white house at the bottom of the River Village entrance hill where she spent her days wandering around in the pine forest, playing soccer and frisbee in main field with her siblings, and befriending the Camp staff. 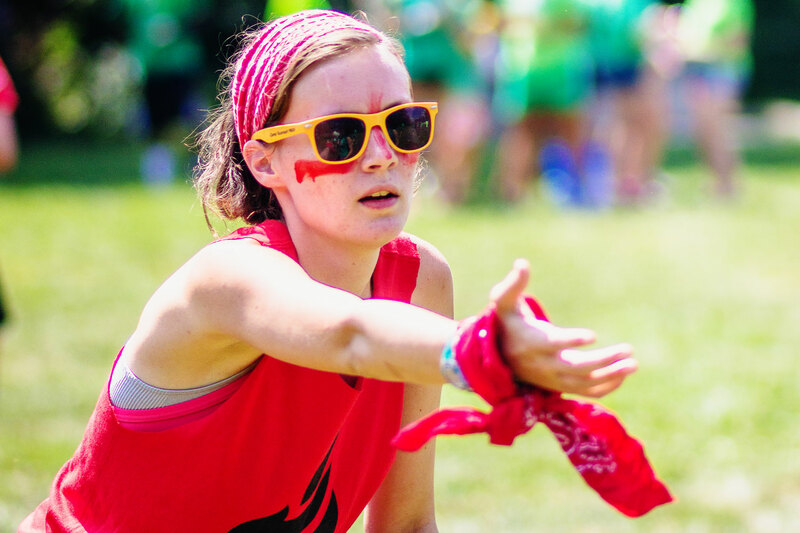 As a camper, Lydia was immersed in the lessons of the I’m Third motto, internalizing the values of service to others, stewardship of what we’re given, and relationships based in love and trust. It’s at Camp she learned how to be generous with her time and put her talents to work. She developed a passion for using humor and silliness as a motivator in her work with kids. She developed a passion for building authentic, God-centered relationships where people can talk about real life, and real struggles. Most importantly she developed a passion for a theology that goes somewhere, that has real ramifications for people in their daily actions, that requires real tangible actions on part of believers. As Lydia reflected on her gifts and talents and on her desires for her life, she decided she wanted to serve in an area of really high need, where she could combine her skills and her passion for social justice and advocacy. She focused her attention on refugees, but refugee communities can be difficult to access. That’s when her friend introduced her to ELIC. It didn’t take Lydia long. She checked out the website, filled out her application, and committed. This is where she wanted to go. This is what she wanted to do. Founded in 1981, ELIC works with governments and institutions to provide education and leadership in countries throughout Southwest Asia, Northern Africa, and the Middle East. 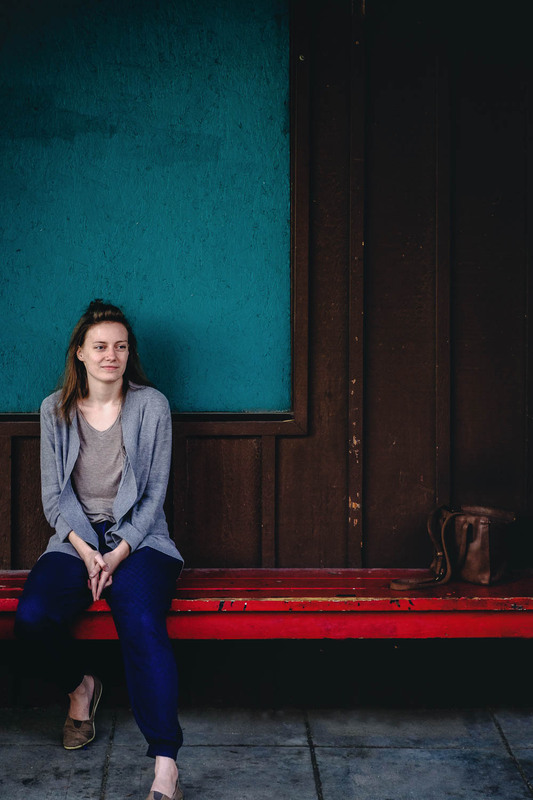 Through short-term and long-term assignments, ELIC works with college students like Lydia as well as adults and gives them opportunities to teach and build relationships in communities of high need. In addition to sessions on curriculum training and safety, many of the lessons from her training mirrored the lessons she had learned at Camp over 20 years: communication, conflict management, and leadership. After four days, she boarded a plane for Iraq. 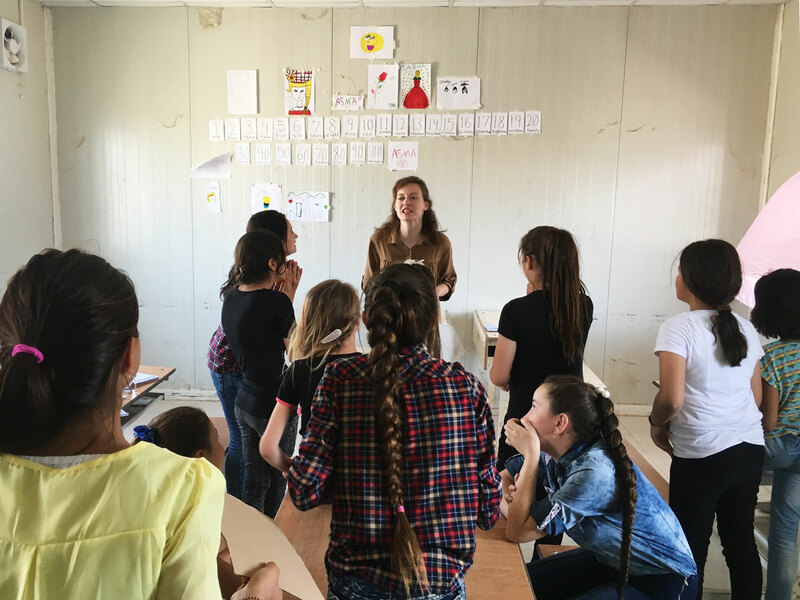 Lydia had been assigned to teach English in the Khanke refugee Camp outside of Dohuk in the Kurdish region of northern Iraq. With roughly 250,000 people Dohuk featured many modern amenities: a university, shopping malls, hotels, and restaurants and most of the population understood at least a little English. Every morning, Lydia would gather in the lobby of their hotel with the 25 teachers on her team and make the 40 minute trek to Khanke to teach. In the summer of 2014, ISIS forces pushed through Iraq, displacing over 3 million people desperate to escape the atrocities that had befallen their countrymen. The Khanke Camp houses over 18,000 of these refugees, over half of them children. 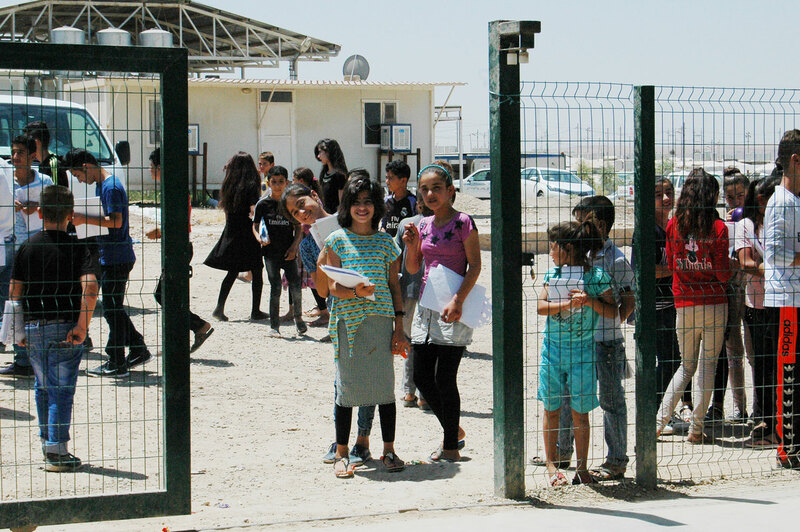 Members of the Yazidi, the camp’s residents share a loose political alignment with the Kurdish people through a shared antagonism towards ISIS. Composed of row after row of tents, the camp bustles with activity. Kids, goats, and chickens wander freely. Residents sell fruit, vegetables, and trinkets along the side of the road. Members of NGOs bustle about fixing and making. People fend off boredom with soccer balls and conversation. It’s clear that residents of Khanke Camp have been here for a long time. 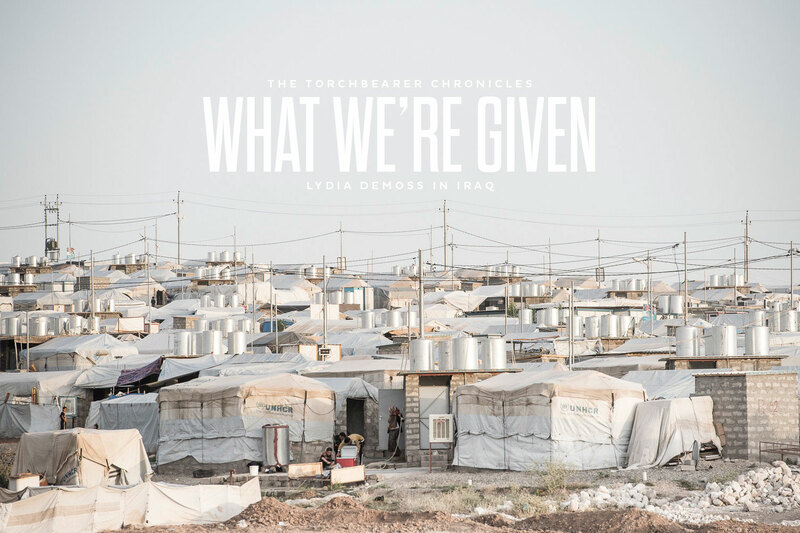 Every morning, Lydia and her fellow teachers would enter the Camp and head to the building housing their classrooms. One of the most difficult parts of an experience like this is coming home and trying to explain it to other people. How do you answer, “How was your trip?” in 15 seconds over and over and over again? 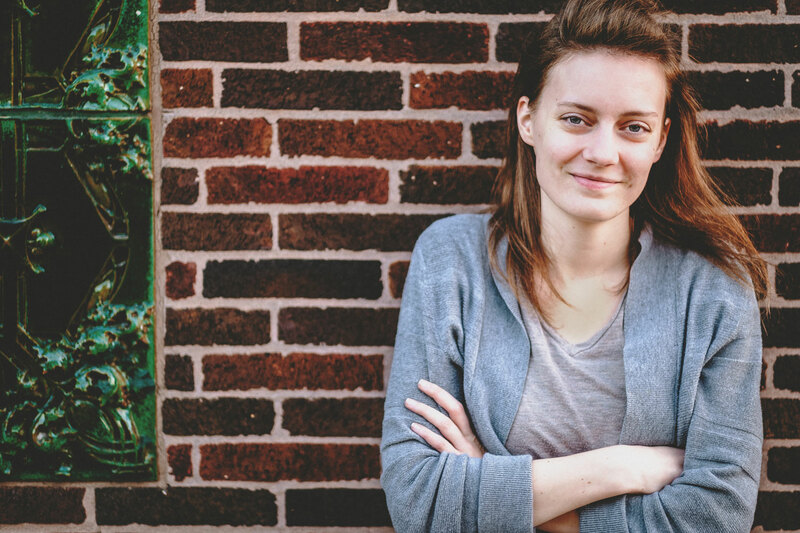 Sitting across the table at Greyhouse Coffee, Lydia reflects on her experience and the lessons she’s learned. Lydia’s experience provided an opportunity to use her gifts and talents to serve God, and in the process, she learned a more subtle and powerful truth: God leads us down a path, and asks us to learn along the way so we can better serve him. “The trip was an example of what God’s been teaching me. He showed me how the body of Christ cares for itself. He showed me how people step up for each other in times of need and use their gifts in unexpected ways in service of others.” It’s all just another lesson on a long path. Just another gift. Something else we’ve been given to use in the service of others.